AN AVALANCHE OF APPLICATIONS FOR THEM. A Clever April Fool Joke -- The Work of Novelist Cable -- Hundreds of Letters from Noted People. John Hay writes from Cleveland. He wants Mark Twain to take a leisure hour or two and copy for him a few hundred lines of "Young's Night Thoughts" and an equal amount from that equally dry poem known as Pollock's "course of Time." Colonel Hay closes his letter by remarking that he wants his boy to form a taste for serious and elevated poetry, and that the quotations suggested would be of considerable commercial value if in the handwriting of the great humorist. Clara Louise Kellogg sends a dainty note from the Clarendon hotel, New York, asking for an autograph, and Clara's mother writes that she is really suffering for one. Henry Irving sends a typical letter from the Brevoort house saying the possession of an autograph of "My dear Mark Twain" is a matter of life and death with him, while Ellen Terry's application is brief and to the point. She asks: "Will you write your name for me?" Napoleon Sarony writes over the dash of the pen that he calls his trade mark and does business on -- simply for an autograph for an admirer. Modjeska drops into reminiscence, and her ultra-fashionable sheet of paper is covered with daring strides of the pen. She begins her application in English and winds up in Polish. That portion of her letter which is in Polish is believed to be her address, for it starts off with the words "Wielmorina Helena Chiapowako (Modrejewska)." She signs herself "Your great admirer." Edmund Clarence Stedman's letter is a good take-off on the average school girl who fills in her spare time in writing to noted people for their autographs. Many of the words are under-scored and it sugars Mr. Clemens with such sentences as "My favorite American author" and "Your well-known kindness." Mr. Stedman not only solicits both kinds of Mr. Clemens's signature, but wants a sentiment in his handwriting, or a few pages from "Roughing It," "The Prince Abroad" or "The Innocents and the Pauper." His daughter, Ellen Douglas Stedman, recalls an enjoyable evening passed with Mr. Clemens and modestly asks for four autographs and an extract from one of his books. The Madison Square Theater management bobs up with three requests: Charles Frohman simply says he wants Twain's signature, while Daniel Frohman drops into shop and offers to dramatize and adapt it for the stage. The third request is in type writing and very clerical. H. C. Bunner of Puck wants an autograph for his two-weeks old granddaughter, adding: "The little innocent abroad in this strange world of ours will value your gift when she is old enough to appreciate it." Joe Howard, Jr. recalls meeting Mr. Clemens twenty-four years ago in front of the New York city hall, and then makes an appeal for the autograph. Thomas W. Knox's request comes from the Lotos club. He has a royal commission from the king of Siam, for autographs for the king's 258 children. Colonel Knox suggest that the order had better be filled for 300, as the king's family is increasing. The colonel also wants one for a sick lady, to be well-done and rare, turned over and browned, stem-winding and with gilt edges. Stephen Fiske wants a Mark Twain autograph for a friend who is going abroad who wishes to take it along as a Mascot, and Mrs. Fiske modestly spells the name "Clements" and solicits 160 autographs for a church fair booth. Jeanette L. Gilder sends her note from No. 20 Astor Place, New York. She wants an autograph to display with other literary scalps. Mr. Whiting of the Springfield Republican wants Mark Twain to let him know by mail whether the latter had any traditional ground for the pretty story of Edward VI's interchange of identity with a boy of the slums. Lawrence Hutton wants to complete his collection of MSS. by adding the original of Mr. Clemens's latest and most charming works -- Jean. As Jean is the youngest child in the Twain household she will probably not be forwarded. etc. Henry Ward Beecher starts his missive by mentioning that he is a very curmudgeon about answering autograph letters. 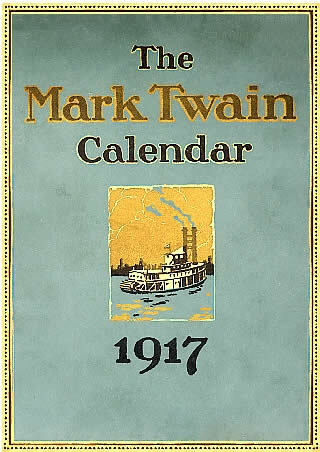 He wants two from Mark Twain, however, one of the real name, and one of the pseudonym. Mr. Beecher's son sends a gilt-edged card with a formal demand for an autograph. Joseph Hatton's scrawl is deciphered to mean a request for another autograph -- one to carry about with him. Charles Watrous, of No. 160 Pearl street, New York, wants a photograph and an autograph as well, to give to a beautiful young lady who is anxious to go on the stage. C. C. Buel, of the Century magazine, wants a humorous article for publication with Mr. Clemens's signature attached to every paragraph, so that the "copy" could be sold to advantage; while R. W. Johnson, of the Century, applies by postal card as follows: "Could you let me have an autograph for a lame boy whose mother has interested him in things spiritual by encouraging him to make an autograph collection to be raffled for at a fair, the proceeds to go to the Society for the Suppression of the Toy Pistol." A. C. Dunham of Hartford offers to embalm and perfume an autograph. H. Robinson of No. 103 East 15th street, New York, wants a line from Twain's celebrated poem on the Heathen Chinee, with his signature, and D. G. Macheill of No. 7 Nassau street would treasure an autograph as a priceless gem. Someone writes from No. 22 Willow street, Brooklyn, in Spanish. The letter is believed to be a request for an autograph. C. Y. Beach of Bridgeport, Conn., bases his claim for an autograph on an exchange of linen dusters by mistake at Poughkeepsie a few years ago. F. D. Millet, the artist, wants an autograph in the best style, while Mrs. Millet individually knows a great want for one. The Rev. Dr. Robert Collyer sends a juvenile-like request. Miss Della Young of Manchester, N.H., is original in her application. She sends a stamped envelope and a sheet of blank paper, which brands her request as genuine. William Carey of New York would have enclosed a stamp but for establishing a precedent. He would be appeased with a noble sentiment if the autograph could not be sent. R. Swain Gifford, the painter, promises to send a stamp on receipt of the autograph. M. S. Beach, writing from Brooklyn, alludes to the prominence Mr. Clemens has acquired through his relations with Captain Duncan. Dr. J. S. Billings, of Washington, wants a photograph authenticated by Twain's signature. J. Watson Beach, of Hartford, wants Mr. Clemens to say something sweet with his autograph as it is for a sweet young lady friend. Brander Matthews of New York, would consider a Mark Twain autograph a priceless boon. R. W. Raymond of New York, speaks of Mark Twain as the author of "The Schoolmaster Abroad." Colonel Fairchild of Boston wants a signature for an uncle. Horace E. Scudder of Boston wants something -- a holograph, he thinks. J. Hyatt Smith of Brooklyn is funny only in postscript. He wants Mark Twain to notify him by mail if he objects to sending his autograph. T. B. Aldrich wants the autograph because it would be that of the man who wrote "Gabriel Conroy," and falls into line for a signature. Mrs. Aldrich forgets herself and sends a stamp. It is a revenue stamp, however. Colonel George E. Waring keeps up with the procession by having his request properly filed -- and so do his wife and daughter. Colonel James B. Pond wants two autographs -- one for himself and one for a niece who admires Mark Twain. The city editor of the Commercial Advertiser, telegraphs for a Twain autograph for the fifth edition of that journal, and Henry Peters of New York wires Mr. Clemens for two carloads of his heaviest water-proof autographs. Bloodgood H. Cutter, the Long Island farmer poet, makes his request in very poor rhyme, and Henry P. Gillig of the American Exchange in Europe telegraphs to have Mr. Clemens be sure to save him a signature. Frank Jenkins, writing on University club paper, wants to secure enough Clemens autographs to start out seven daughters as autograph fiends. The first letter to arrive, one from Brooklyn, touches on family affairs and coupled Mark Twain with such notables as J. L. Sullivan, and the writer expressed the opinion that the world of literature knew nothing finer than Mark Twain's "Little Breeches." Mr. Cable himself writes from Chicago that he has been a constant admirer for 69 years of the works of Mark Twain, and -- asks for an autograph. Noah Brooks of New York wants a dozen, and United States Marshal Kinney of Hartford wants one at the bottom of a check. The applications of Julian Hawthorne, Charles Dudley Warner and George P. Lathrop are included in the deluge. There are hundreds of letters not mentioned, mainly from eminent people, formulated without any effort at wit. One of the best of the lot says its writer wants Mark Twain's signature to put in a corner stone, and another applicant lauds Mr. Clemens as the author of "The Bread Winners"
It has been agreed among some friends of Mr. S. L. Clemens that all his friends, as far as they will, write to him on receipt of t his circular (mailing on such dates as to allow all the letters to reach him simultaneously on the first day of April) asking for his autograph. The consent to cooperate has already been obtained from a number sufficient to make it certain that the matter will take the character intended for it, and this circular is now mailed to 150 persons of the literary and journalistic guild in Boston, Hartford, Springfield, New York, Brooklyn, Washington and other cities, each of whom -- with yourself -- is requested to invite others, ladies or gentlemen, to take part. It is suggested that no stamps or card or envelope be inclosed with the request; that no stranger to Mr. Clemens and no minor take part. Yours truly, G. W. CABLE.